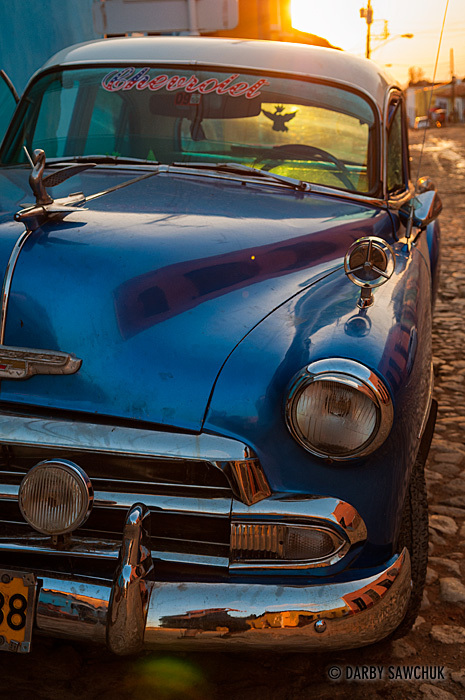 Here’s another of Cuba’s famous vintage cars. I couldn’t resist these classic machines especially not when they were backlit by Trinidad’s warm sunset glow. A full Cuba gallery will be coming soon. This entry was posted on Friday, April 19th, 2013 at 6:17 pm. It is filed under Blog, Cuba, Photo of the Day, Photography and tagged with car, cuba, Photo of the Day, Photography, potd, street photography, travel photography, trinidad, vintage. You can follow any responses to this entry through the RSS 2.0 feed.